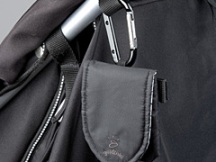 The metal clip provides a convenient way to attach grocery bags, nappy satchels or handbags. 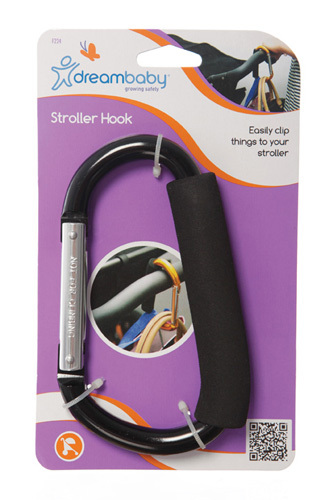 The Dream Baby Stroller Hook is a convenient way to clip things together, giving you an extra pair of hands. These sturdy and fun lanyards are ideal for attaching important items (passport holder, mobile phone, camera, keys, games...) Versatile attachment options andfour styles to choose from (red/blue scooter, pink/yellow star).